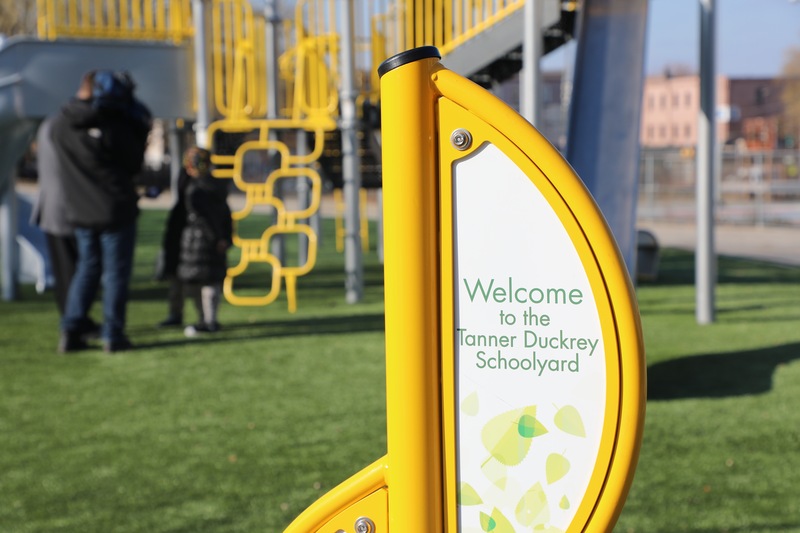 PHILADELPHIA — Dr. William R. Hite, Superintendent of The School District of Philadelphia, joined with Council President Darrell L. Clarke on Monday, December 10 to celebrate the ribbon-cutting of the new, upgraded playground at Tanner Duckrey Elementary School in North Philadelphia. The project stemmed from an idea from some students participating in the Young Heroes Outreach Program in 2016. At the time, several fourth grade students wrote letters to President Clarke, highlighting the need for an updated playground at Duckrey. As a result, President Clarke’s office contributed $300,000 in funds for the project. At the ribbon-cutting, Dr. Hite and President Clarke were also joined by Board of Education President Joyce Wilkerson; state Sen. Sharif Street; state Rep.-Elect Malcolm Kenyatta; community members and activists; and several teachers and students, including several students who wrote letters dreaming up the playground in 2016. 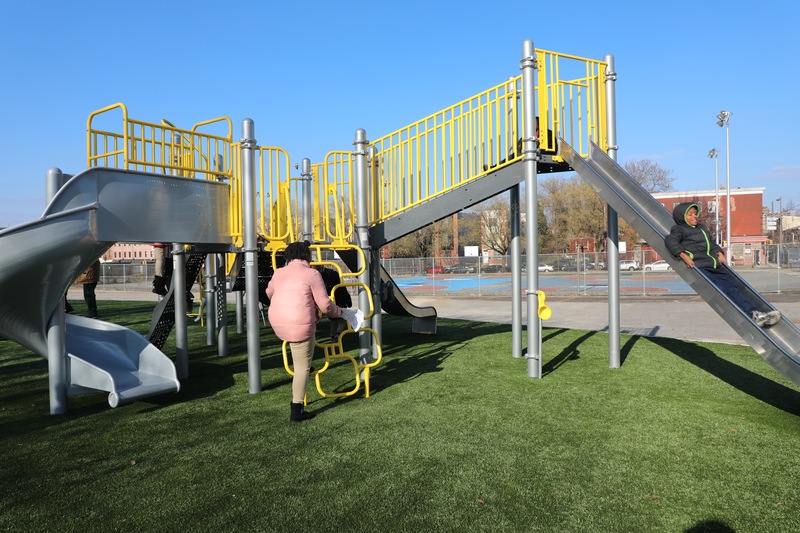 The new playground now features new play equipment, games, benches, picnic tables, trash and recycling receptacles, new gates and signage, trees and shrubbery. A new ADA accessible entry sidewalk into the schoolyard from 15th St. is also included in the improvements.